Take a Break's Criss Cross With as many as 10 issues already released, the magazine is issued monthly. Solving this would enhance your vocabulary skills and you would be able to practice the new words that you might have learnt before or learn new words while solving the particular puzzles that are given in very issue. The experts in English have the opinion that the only way to really learn words is by using them regularly and what a way to practice them, you would enjoy solving the puzzles besides learning new stuff. In each of these criss-cross puzzles, you need all of the words to be fitted in the grid itself. The format is more similar to the jigsaw puzzle where you would need to piece all of these words together in one. 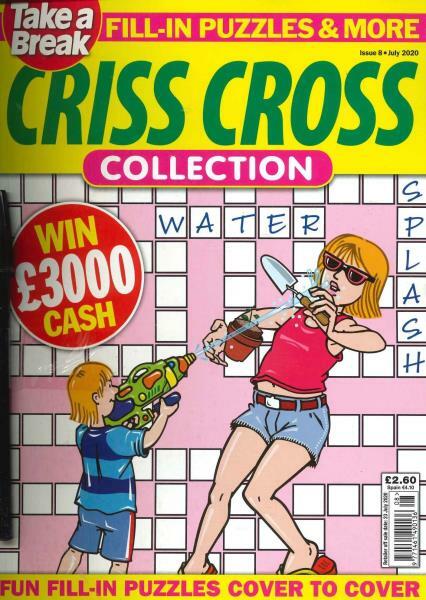 Besides the absolute collection of puzzles itself, there are a selection of various other puzzles which have been collected from the Sudoku and the Word Searches.